CHRISTMAS 2012’s MOST WANTED GIFT! Get Nintendo NEWEST system FREE! The next generation Nintendo Wii (Wii-U) is being released for the 2012 Holiday Season! As you probably know when the original Wii was released it was out of stock for months with prized units being hawked on EBAY for thousands of dollars! 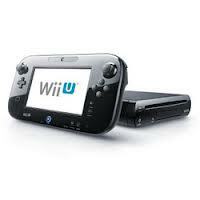 We secured several Wii-U machines for the launch and are given them away for FREE! Every person that comes in for a trial as a referral from you (we ask everyone that comes in who told them about us) gets you one entry in the draw!